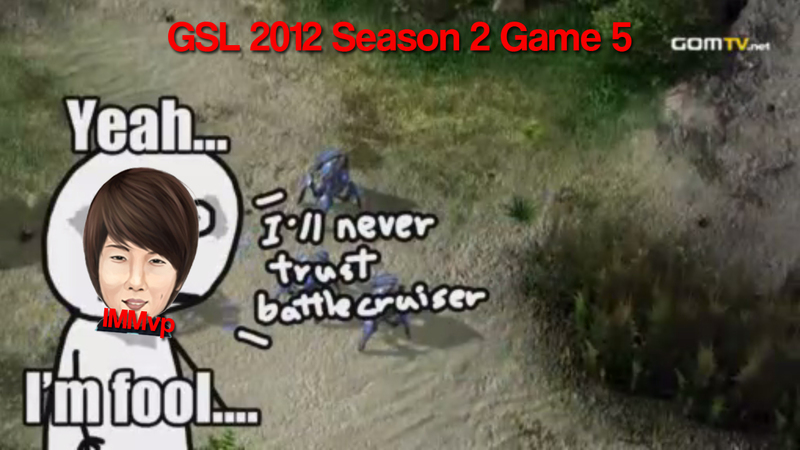 IMMvp won the GSL 2012 season 2 final. Game 5 is the best Starcraft 2 game I’ve ever seen. The ‘Learn Korean Guy’ kinda trolled everyone by saying he has no time to make a ‘Learn Korean’ video for the GSL final because of Diablo 3. The units used in the video are Battle Cruiser and Mothership.